Historic England: Nottingham shows the city as it once was, from its streets, squares and alleyways to its churches, theatres and famous sporting venues. 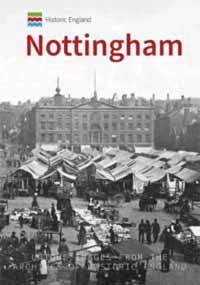 This illustrated history provides a nostalgic look at Nottingham's past and highlights the special character of some of its most important historic sites. The book consists of over 150 colour and black and white photographs, with substantial notes to each. The photographs are taken from the unique Historic England Archive, the nation’s record of 12 million photographs, drawings and publications, ranging from the 1850s and the earliest days of photography up to the present day. A useful reminder of what, in many cases, we have lost. This is another volume in the excellent series of Norwell Heritage Booklets compiled by the Norwell Parish Heritage Group. The series editor is Michael Jones who is well-known to the Society, having most recently lectured on the White Book of Southwell. This volume starts with the period before the war and then gives as full an account as possible of the enlistment, war experiences and, where available, photos of the fifty five men from Norwell and Norwell Woodhouse who served in the forces. It then considers the effect of the war on the parish and how life continued while so many men were absent. However, it was noted that rural life in some ways was protected from the worst deprivations of the war - some men stayed to tend the farms due to the necessity of food production; others were employed in munitions factories - and those left behind managed to hold village events such as the Norwell Flower Show in 2015. There were also fund-raising events such as concerts which must have raised spirits. We read of the efforts to increase the food available by growing vegetables and keeping pigs. The children in the school were taught vegetable growing and helped in gathering blackberries for jam-making which was mainly destined for the troops. Life was hard for some residents and local charities were invaluable in providing some assistance. After the war normal life was slow to return and for many it was never the same again. Many of those serving had to wait a long time before they returned home and the book includes many poignant messages from soldiers longing to be back with their families. This is a splendid snapshot of one of our county’s villages dealing with the privations and sorrows of war whilst still carrying on with as normal a life as possible. 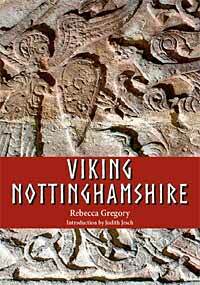 This is the first book dedicated solely to Viking Nottinghamshire, an era with apparently little material evidence of their presence in the county. And yet, how significant Nottinghamshire was in this period, being one of the Five Boroughs of the Danelaw, and how clear a picture many of our place-names give us of their ubiquity. This book by Rebecca Gregory, an affiliate of the University of Nottingham and English Place-Name Society researcher, draws together in a very useful slim book the latest research and findings, filling the gap in information about what is often regarded as an entirely disruptive age. “Viking Nottinghamshire” takes us to the county as it was during the Viking Age and through the various periods of Scandinavian settlement. The author uses a variety of historical evidence, which includes documents, place-names, artefacts and sculpture, to demonstrate the impact and contribution Scandinavian settlers made to the character and history of Nottinghamshire. The book is balanced in its focus, concentrating on what was brought to the county in terms of culture and language, and how the peoples integrated. Invasion and atrocities there may have been, but here we have a well-rounded picture of the contribution made by those who came in ships but who settled and were assimilated but still left a strong mark on our county. This book covers the craft of bee-keeping from 1837-1901 and reports the activities of beekeepers in both the county and nationally. There is a reference to the Thoroton Society as part of beekeeping history, in that Rev AJL Dobbin was a member of the Committee of the Nottinghamshire bee Keepers’ Association. Rev. Dobbin was the first Chairman of the Thoroton Society. A follow-up book - Beekeeping between Two Queens 1901-1952 - is almost ready for publication and should come out later this year.